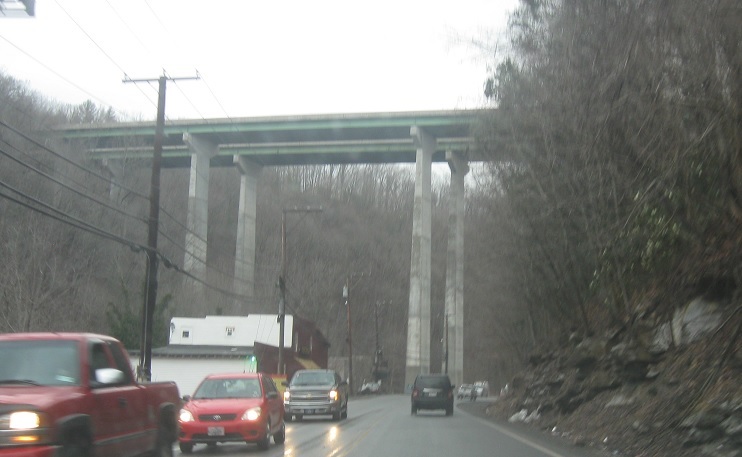 After WV 3, as we head out of Beckley, we’ll enter unincorporated Glen Morgan. As we enter incorporated Beaver, we’ll cross under I-64, obviously without interchange. 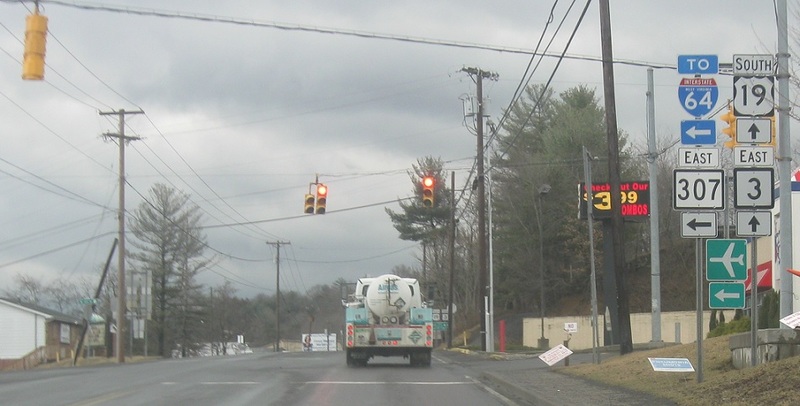 In downtown Beaver, we’ll approach Route 307. Turn left for 307 east to I-64. Stay straight for 19 south/3 east.